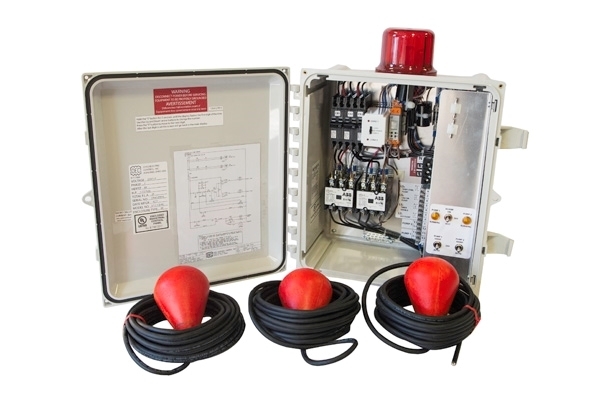 The Red Alert Time Dosing Panel is a simplex control panel designed to operate one pump and dose, drip irrigation, LPP, mounds, spray irrigation or any system that requires time dosing. The Bullet BP12 Highhead Effluent Pump is a mid-section screened pump ideal for high pressure/high head applications (including clean water, filtered effluent to an irrigation sprinkler, drip irrigation, mound system or any filtered application requiring high head or pressure. The 4" diameter Bullet Pump has a 1/2 HP oil-filled, 120-volt, continuous duty submersible motor and a 15-foot 3-wire, 1 phase ground cord. We offer an 18-month limited warranty on all Bullet Highhead Effluent Pumps. The Bullet BP20 Highhead Effluent Pump is a mid-section screened pump ideal for high pressure/high head applications (including clean water, filtered effluent to an irrigation sprinkler, drip irrigation, mound system or any filtered application requiring high head or pressure. 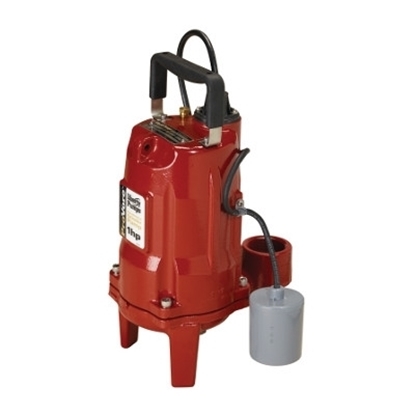 The Liberty 283 Effluent Pump features a unique one-piece cast iron body and a quick-disconnect cord in 10-foot or 25-foot length. The Liberty 283 Effluent Pump has a 1/2 hp motor, 1-1/2" discharge and 3/4" solids handling capability. The Liberty 280-Series provides a cost effective “midrange” pump for on-site waste water systems, liquid waste transfer and commercial heavy-duty sump pump applications that require higher head or more flow. 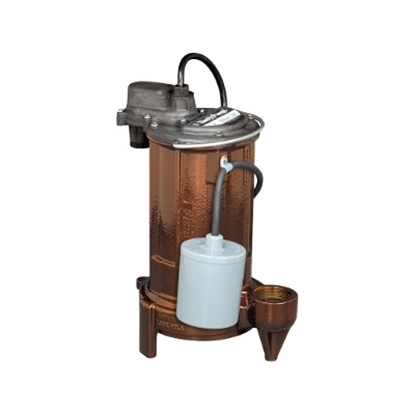 The Liberty 283 Effluent Pump comes with a 3-year manufacturer warranty. 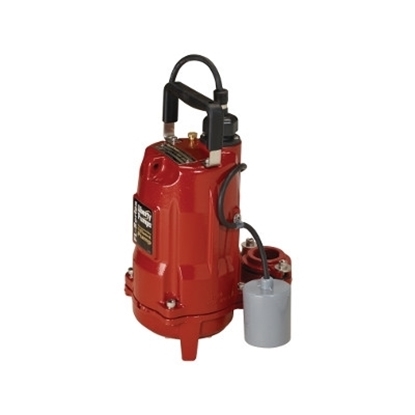 The Liberty 253 Effluent Pump features a one-piece cast iron body, a quick-disconnect power cord and three different switch options. The Liberty 253 also features a durable, epoxy powder coat finish and vortex style impeller. The 253 Effluent Pump has a 1/3 hp motor, 1-1/2" discharge and 1/2" solids handling capability. The Liberty 253 Effluent Pump is the perfect choice for low-head effluent pumping. 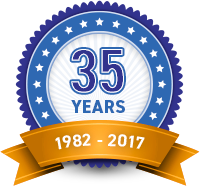 The Liberty 253 Effluent Pump comes with a 3-year manufacturer warranty. 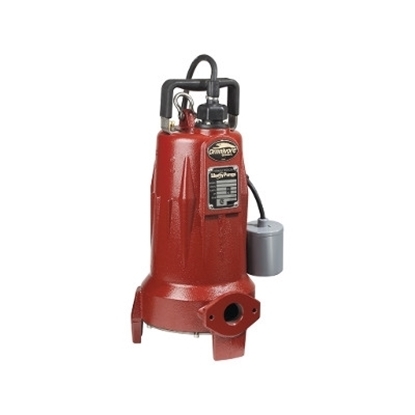 The Liberty LSG202A Grinder Pump is a submersible pump and features a one-piece cast iron body, quick-disconnect power cord, stainless steel impeller and dual shaft seals. Capacitors are integral to the pump, eliminating the need for an expensive control panel. The LSG202A Grinder Pump has a 2 hp motor and 1-1/4" discharge. Applications for the Liberty LSG202A Grinder Pump include an individual or group of homes, motels, schools, shopping centers, lakefront developments and systems requiring high pressure sewage pumping. The LSG202A Grinder Pump features V-Slice© Technology which is a superior cutting system providing improved shredding performance over radial cutters. V-pattern provides up to 108 alternated cuts per revolution. Entire cutting system is made of 440 stainless steel hardened to 58Rc for shearing solids into small particles prior to being passed to the discharge by the impeller under high pressure. The Liberty LSG202A Grinder Pump comes with a 3-year manufacturer warranty. 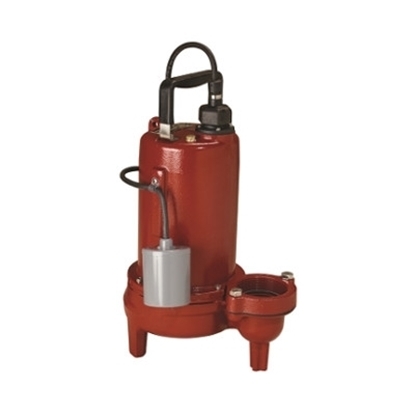 The Liberty PRG101A Grinder Pump is designed for residential sewage applications. The PRG101A Pump features heavy cast iron construction and hardened stainless steel cutter and plate. The PRG101A is oil-filled and thermally protected for longer life in tough conditions. The PRG101A Grinder Pump has a 1 hp motor and 2" discharge to allow higher flow rates allow use with 2" discharge lines. The Liberty PRG101A Grinder Pump comes with a 3-year manufacturer warranty. The Liberty LE102A2 Sewage Pump is heavy-duty built and reliable. Liberty's LE102A2 Sewage Pump is the perfect choice for residential sewage applications. Featuring all cast iron construction with an epoxy powder coat finish, stainless steel fasteners, quick-disconnect 10-foot power cord and a vortex style impeller for superior solids handling. The LE102A2 Sewage Pump combines solid performance with exceptional value. The LE102A2 Sewage Pump has a 1 hp motor and a 10-foot quick-disconnect power cord, 2" discharge and 2" solids handling capability. The Liberty LE102A2 Sewage Pump comes with a 3-year manufacturer warranty. Heavy-duty built and reliable, Liberty's LE51A Sewage Pump is the perfect choice for residential sewage applications. Featuring all cast iron construction with an epoxy powder coat finish, stainless steel fasteners, quick-disconnect 10-foot power cord and a vortex style impeller for superior solids handling, the LE51A Sewage Pump combines solid performance with exceptional value. The LE51A Sewage Pump has 1/2 hp motor and a 10-foot quick-disconnect power cord, 2" discharge and 2" solids handling capability. The Liberty LE51A Sewage Pump comes with a 3-year manufacturer's warranty. The Liberty LE71A2 Sewage Pump is heavy-duty built and reliable. Liberty's LE71A2 Sewage Pump is the perfect choice for residential sewage applications. Featuring all cast iron construction with an epoxy powder coat finish, stainless steel fasteners, quick-disconnect 10-foot power cord and a vortex style impeller for superior solids handling, the LE71A2 Sewage Pump combines solid performance with exceptional value. 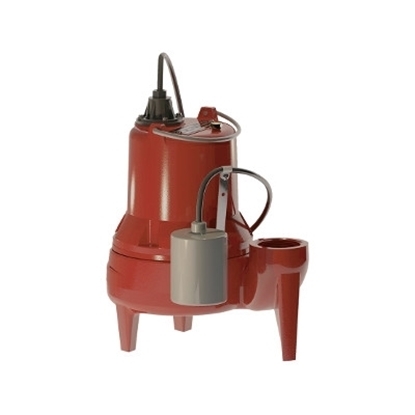 The LE71A2 Sewage Pump has a 3/4 hp motor and a 10-foot quick-disconnect power cord, 2" discharge and 2" solids handling capability. The Liberty LE71A2 Sewage Pump comes with a 3-year manufacturer warranty. The Liberty FL31A Effluent Pump offers a true commercial-grade, heavy-duty design low-head effluent pump with 3/4" solids-handling capability. The FL31A features heavy cast iron construction, epoxy powder coat finish, and a quick-disconnect power cord in 10-foot or 25-foot. The Liberty FL31A Effluent Pump has a 1/3 hp motor, 1-1/2" FNPT discharge and 3/4" solids handling capability. Specifically designed for STEP Systems, LPP Systems, Mound Systems, Liquid Waste Transfer and Commercial Sump Applications. The Liberty FL31A Effluent Pump comes with a 3-year manufacturer warranty. 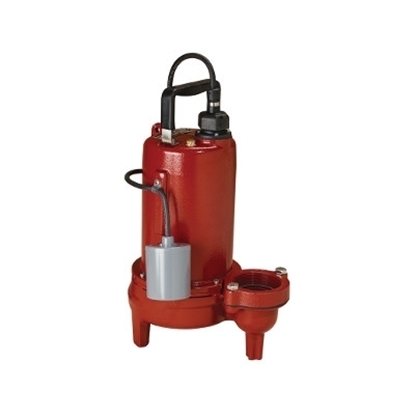 The Liberty FL51A-2 Effluent Pump is a mid-range effluent pump built of heavy cast iron with an epoxy powder coat finish and stainless steel fasteners and has 3/4" solids-handling capability. The FL51A-2 features a quick-disconnect 25-foot power cord. The Liberty FL51A-2 Effluent Pump has a 1/2 hp motor, 1-1/2" discharge and 3/4" solids handling capability. Specifically designed for STEP systems, mound systems, liquid waste transfer and higher head de-watering applications. The Liberty FL51A-2 Effluent Pump comes with a 3-year manufacturer warranty.